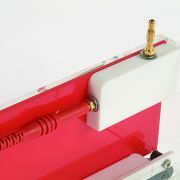 The IEF system has been designed to allow the full range of IEF flat bed electrophoresis techniques. 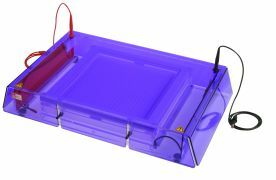 These include wick based electrophoresis, precast horizontal IEF gel electrophoresis, hand cast horizontal IEF Gel electrophoresis and Iso Electric focusing using IEF strips. 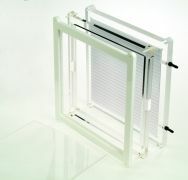 The unit includes enhanced cooling over a large platform which offers increased strip capacity and gel area. 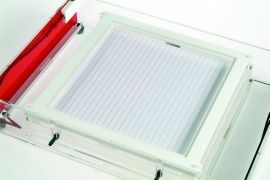 Uniform cooling of the platform is achieved using a large ceramic plate which can be connected to any standard chiller via quick fit connecters for enhanced gel or strip cooling.